ARCHITECTURAL CONCEPT: The Satellite Buildings continue the theme of round sweeping movements and concave / convex building shapes explored in the Core Buildings . The Bank Building also incorporates the ribbed barrel vault element. 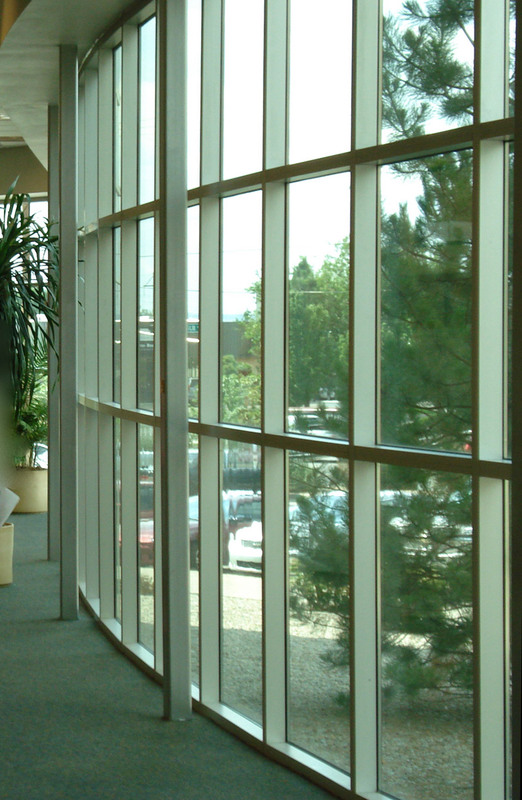 High performance glass perimeter walls again secure maximum inter ior daylighting. The reflective glass creates a dialogue between buildings through reflected images of each other. 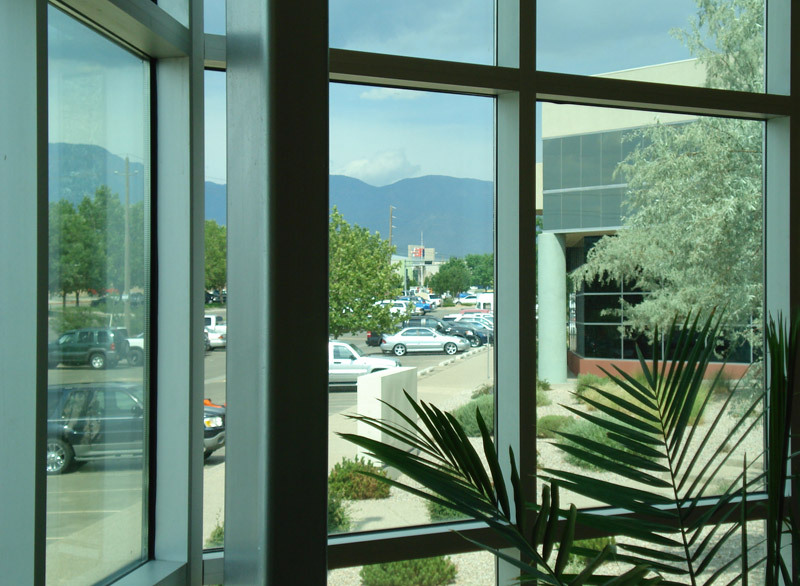 BANK OF THE WEST combines full banking facilities including covered drive-up lanes with a number of office, medical and potentially retail uses. The building barrel vault traverses the building as a main thematic element and provides a shaded bank entrance on the southwest side. 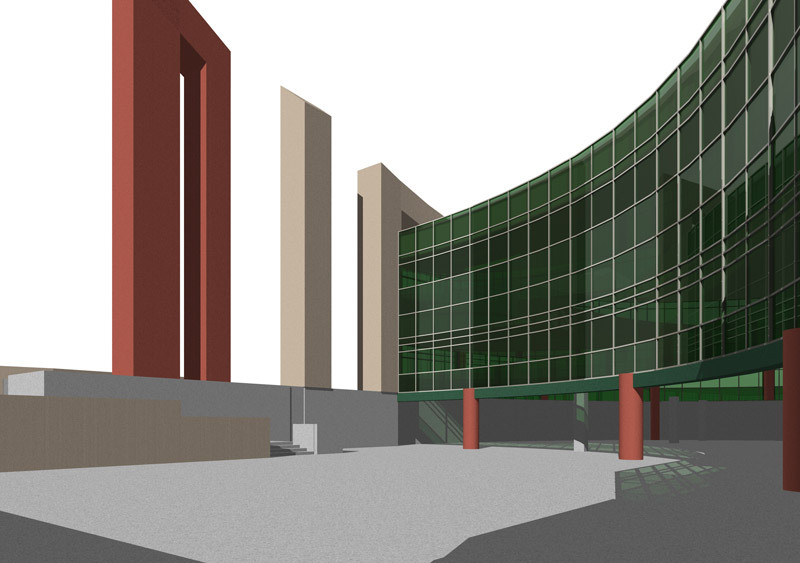 It is one of three iterations of the vaulted skyline theme in Jefferson Commons 2. S.E.D. MEDICAL LABORATORIES is a 50,000sf medical testing laboratory with separate drug screening facility. The Corelab, Microlab and Toxicology laboratories are visually open to surroundings but isolated by lower pressurization. Training facilities, administration and billing are housed on site. A cafeteria including outside seating is included. A portion of the building is held in reserve for S.E.D. 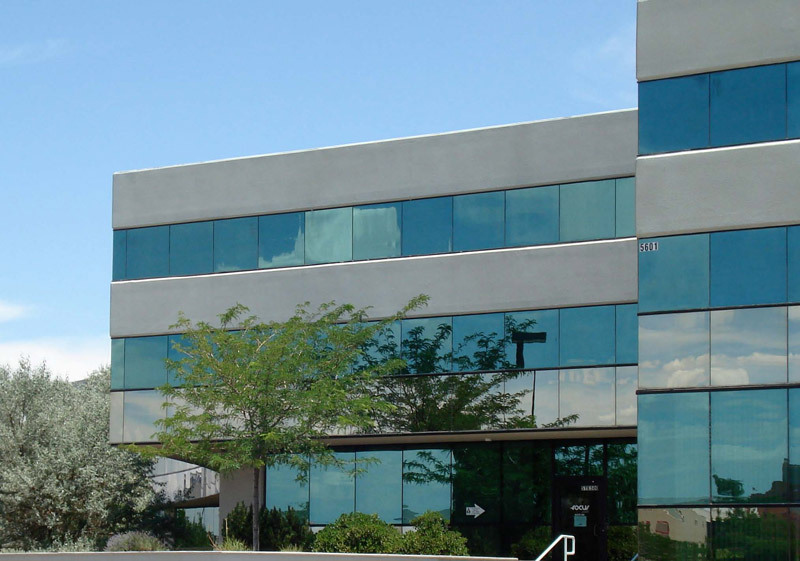 future expansion and has interim tenants such as Sprint Communications Sales. 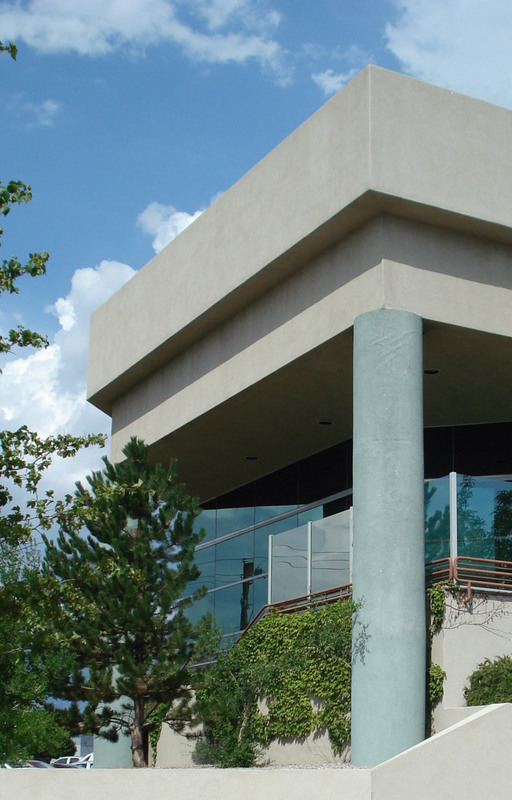 ENERGY CONSERVATION / DAYLIGHTING AND HUMAN SCALE: Both Offices and Laboratories enjoy plentiful daylight through a continuous perimeter glass curtain wall and strategic skylights. 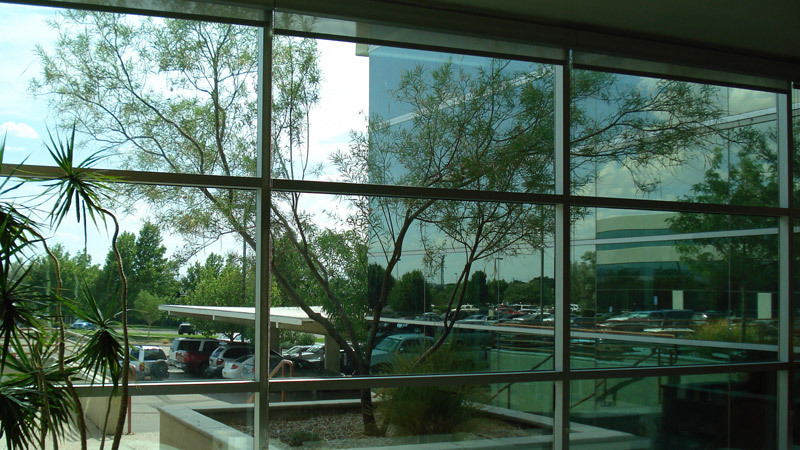 Low-e glazing provides a high level of energy efficiency. 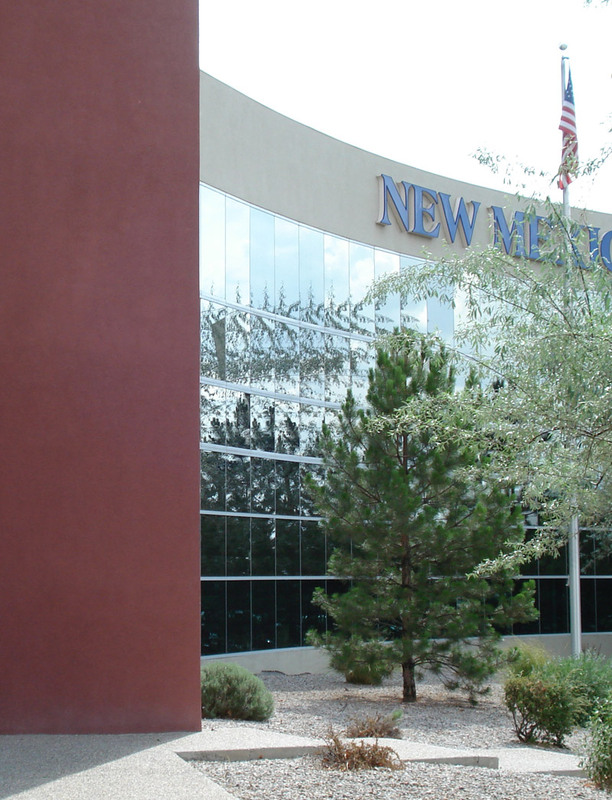 NEW MEXICO MUTUAL CASUALTY is a State Sponsored Insurance Company with Headquarters in Albuquerque. Large components include Marketing / Underwriting, Claims, Accounting and Loss Control. An Executive / Administration suite is at the north end and a Cafeteria / Break Room with landscaped raised patio and employee entrance lies at the center of the building. 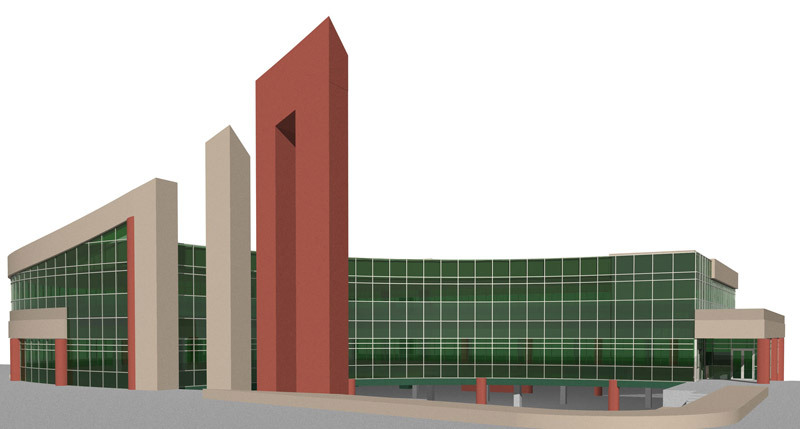 ARCHITECTURAL CONCEPT: the building defines the northern frontage of the Busines s Park. 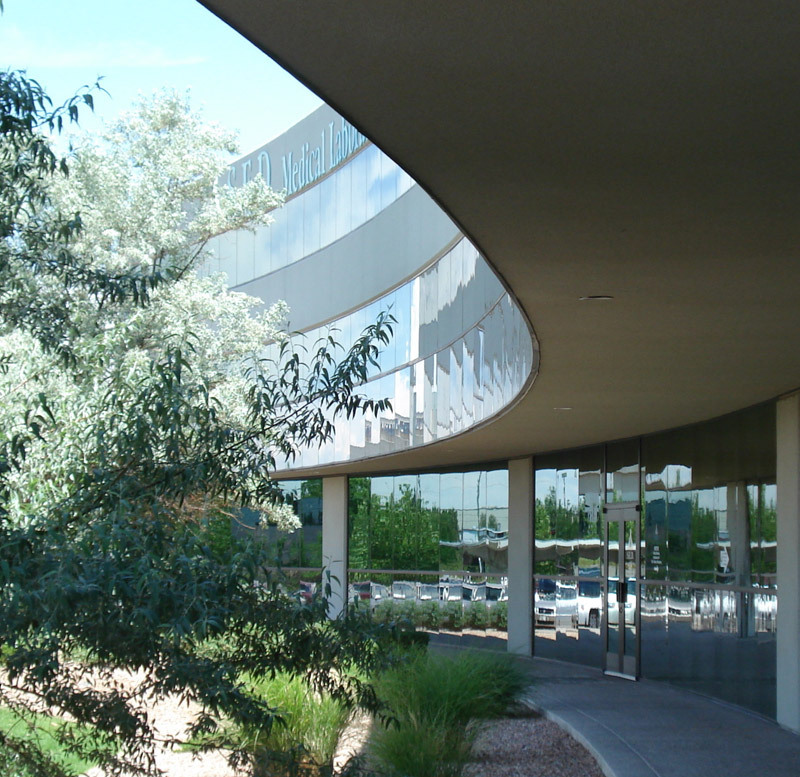 A large concave sweep of glass present an welcoming and embracing facade punctuated by generous landscaping, connecting the two building wings. JEFFERSON COMMONS FUTURE BUILDINGS: The remaining parcel open for development at Jefferson Commons lies directly at the Interstate 25 and Jefferson Street interchange. 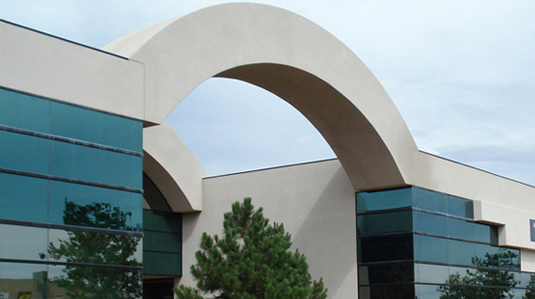 As such it is at the gateway to an upscale business and entertainment corridor paralleling I-25. ARCHITECTURAL CONCEPT, PROPOSAL ONE: Proposal one is for a business park highway-visible beacon and multi-story building with full underground parking and sunken plaza. 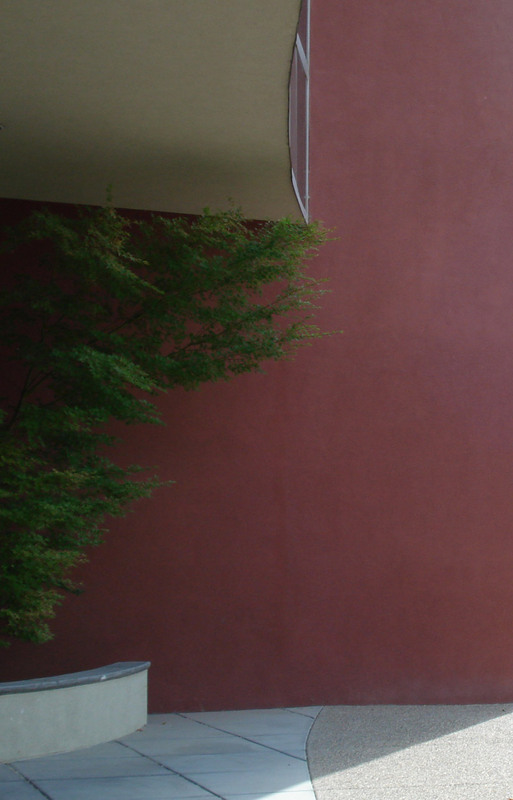 The concept is one of full vertical and horizontal integration of indoor and outdoor spaces. The building convexconcave shape responds to the pressure of traffic flow and activity on two sides, with the concave inner side providing an approachable and sheltered pedestrian oriented inner side. An urban college has been considered as anchor tenant. ARCHITECTURAL CONCEPT, PROPOSAL TWO: This very high-density concept examines the feasibility of an urban center in the form of a new city skyline element. 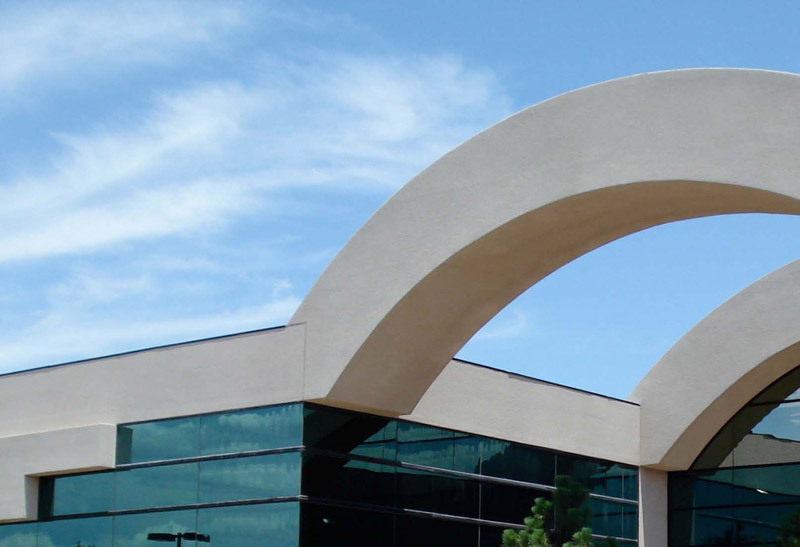 The tower is an ambitious recognition of the location�s potential in the urban fabric -major dining and entertainment onsite and directly adjoining, the interchange on I-25 directly north of the airport and on the way to Santa Fe and a relative scarcity of hotel and convention facilities in this part of the City. 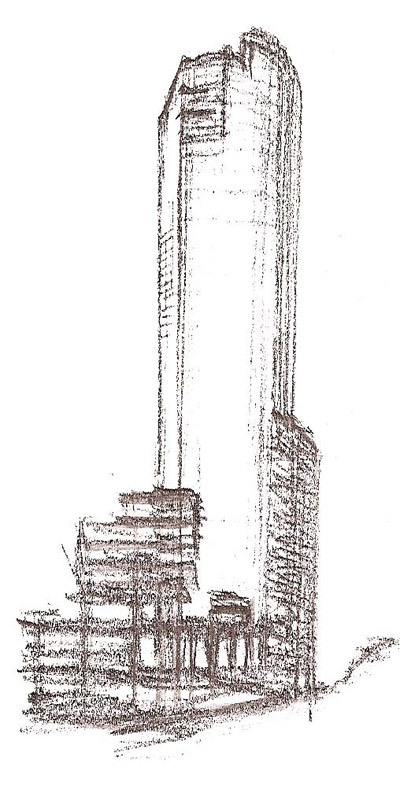 This schematic study explores a thirty-three story hotel / residence / office tower to include convention facilities, bank, restaurants plus hotel reception and lobbies - organized around a multi - story interior atrium. Outdoor patios and swimming pool - sauna-gym have views of mountains and valley.